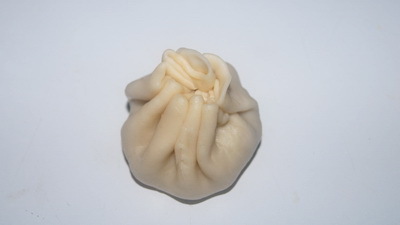 Nakshi puli is artistic varsion of fried Puli pitha. 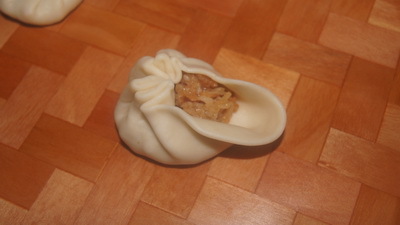 This is actually coconut stuffed fried dumpling. If you dont have fresh grated coconut, you can use dry coconut and 1/2 cup coconut cream to give flavour to make it handy and simple. 1. 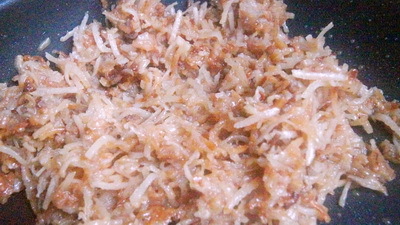 Cook coconut, sugar, clarified butter and cardamom together till it comes dry along together. 2. 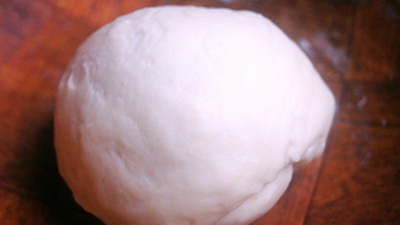 Mix flour, salt, oil and water to make smooth hard dough. Cover it and let it set for at least 15 minutes. 3. Take the dough and divide into 10-12 balls. 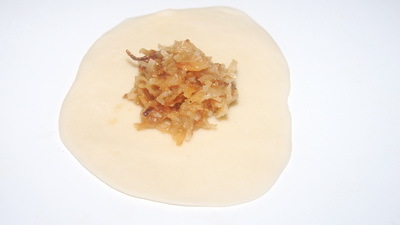 Roll each ball into 3.5″ flat bread and place 1 tablespoon coconut stuffing on flat bread. 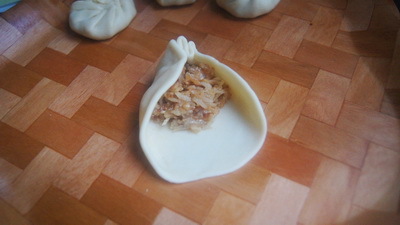 Now fold like dumpling and twist it and close it to press it in the middle. 4. Repeat the process with rest of balls and coconut stuffing. 5. 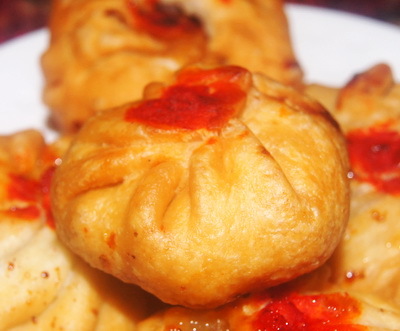 Heat the pan with oil on medium and fry dumplings till those become golden brown. 6. 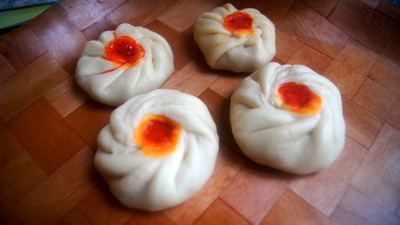 Serve Nakshi puli / fried coconut dumpling or store it when it is cool down. Thanks Baili. Measuring unit will be cup. Please check the recipe now. I like your recipe of kitchen.